Every hour 2.5 million plastic bottles are used and thrown away by Americans. 25 trillion Styrofoam cups are thrown away every year in the US. Of every country in the world, the US produces the most trash. On average each American throws away 1,609 pounds of garbage every year, meaning only 5% of the world’s population produces 40% of the trash that is thrown away worldwide. This year, Columbus’ Ethnic Expo plans to reduce the amount of waste produced with a new recycling program. They will be assisted by Columbus North’s Environmental Club. “The plan is for Environmental Club members and other students to be next to the recycling totes and inform people of what can and cannot be recycled,” junior Anna Kim said. The packaging of the food, drinks, and trinkets at the Ethnic Expo produce huge amounts of trash every year. Having alternatives to simply throwing things away could be the beginning to a significant change in our community. 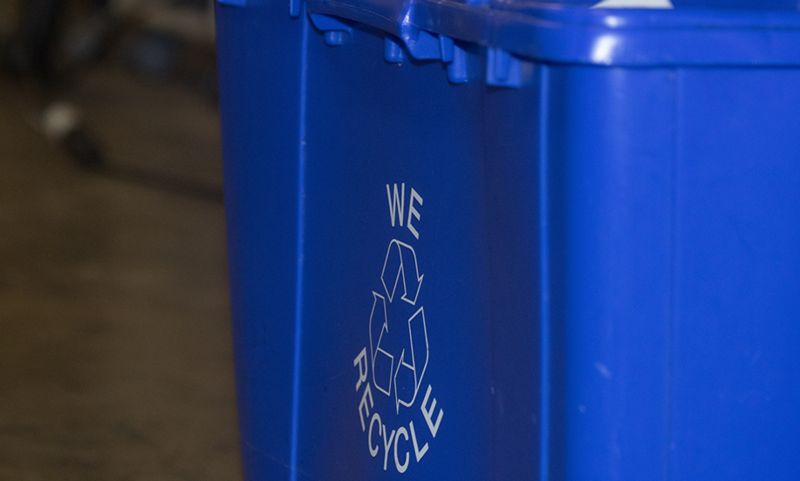 “It shows that our community is taking one step in the right direction, Columbus is putting effort into becoming a sustainable, green city starting off with single-stream recycling and branching off to community events,” Kim said. A recycling program is not the extent of the Ethnic Expo’s goals. “The ultimate goal is to be zero waste by 2019” Kim said. A zero waste program for the Ethnic Expo would most likely include recycling bins as well as compost bins. While having a zero waste Ethnic Expo would be challenging, the Environmental Club and the organizers of the Ethnic Expo seem optimistic. “I think it will be difficult but it’s possible. It’s good that the city has set such hard goals because that makes people work harder and the end results so much better,” Kim said.